It was quite easy to pick a car for yourself when you first decided to get one. But, when the family grows bigger, and you have to think about more people that will need that car, there is no more space for a sports car. When it comes to picking out a perfect car for your family, there are some general things you should keep in mind. We’ve selected top 5 tips that you may find useful. Having a baby means needing a lot of space. You need enough space for a buggy, a stroller, groceries, even those handbags for baby care that you need to have nearby. This all calls for a lot of space for storage and maneuverability. Make sure your car is big enough for all your family’s needs, but also keep in mind that bigger cars can be harder to park and drive. It also can cost more to take care of, so you need to weigh pros and cons and decide what size suits your needs. The first thing you want from you family car is safety. Make sure all the airbags are in place, and that you have the control over them. In order to be sure your kids are safe at the back, you should have window and lock controls at your side. Ask around about adjustable seat belts, and improve your car’s safety by child-proofing the breakable parts of the interior. Euro NCAP safety rating provides amazing ratings about practically every vehicle there is, divided into different categories of passenger and pedestrian safety. With the detailed insight of various vehicles’ safety properties, you may pick your new car easier. 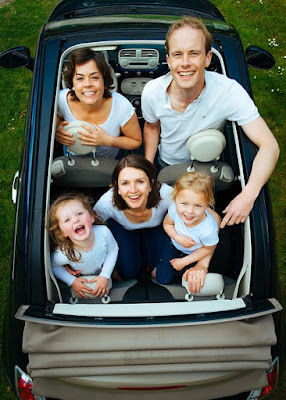 The biggest factor when it comes to choosing the right vehicle for your family is how you are going to use it. The questions you need to ask yourself are: where will you mostly drive, how many children and/or pets do you have, do you plan to tow a camper and where will you park. If you’re spending a lot of time on the motorways away from city centers, you have a big family and a dog; you would probably do best with a minivan. On the other hand, if you work in the city, while you use your car to drop off one kid at the school, few blocks away, the best choice would probably be a smaller, compact car. If you don’t have any limits for your new car, then you’re probably having a few already, but if you are like the most of us, managing a budget for a new family car can be quite challenging. The first thing to choose from is whether to buy new or used vehicle. New vehicles have better insurance policies and higher warranty rates, covered with official on-the-road help, while used ones can sometimes be deceiving. With that said, new cars have to be driven for some period of time in order to work the engine and make them as balanced as possible. Discuss this with your partner and pick a budget; it will narrow your search for the perfect car. Most of the accidents and issues with the new family cars happen because car owners haven’t tested the vehicle properly before buying it, note experts from Mechanic Granville. Don’t leave anything to chance – thoroughly test the car before buying it. If it’s a used one – then double check everything before taking it for your family. Think in terms of what you need and how much are you ready to give for it. Then add safety to the mix, and start researching. Hopefully, these tips will help you find a dream car for your family in no time. Author bio: Steven Clarke is a business consultant/web entrepreneur, also passionate about cars. In his spare time he likes to write about his ideas and share them with the world. Steven is a regular contributor to several websites.